Back by popular demand! Join us for this two year journey as we make the Dear Jane quilt and study the Civil War. There are 225 blocks in the quilt. We will make approximately 10 blocks a month. The first months we will work on the easier blocks and following months will be a mixture of easy and harder. 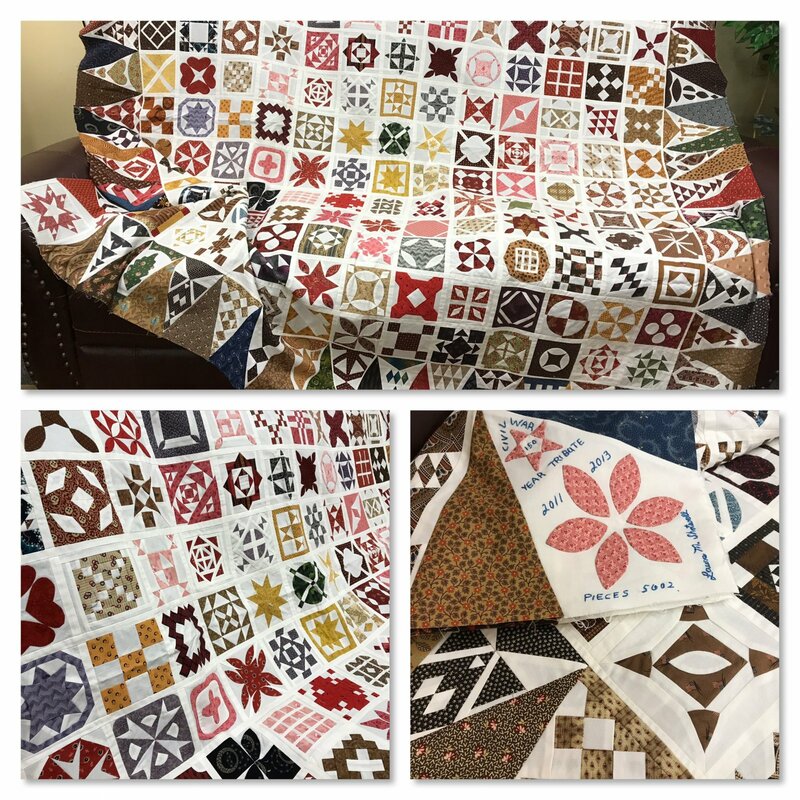 You will be given patterns with cutting instructions and block demonstrations as needed - this quilt is intended for those with previous piecing experience. We have a new selection of Civil War reproduction fabrics coming soon and we'll help you select appropriate fabrics for your quilt (you do not have to use reproduction fabrics, the quilt is stunning in batik fabrics as well). Laura will also give a monthly lecture on Civil War history beginning with the events that led to the first shots being fired and ending with Lee's surrender. She will be using period diaries to give you first person accounts of occupation and battles (North and South accounts) as well as other historic accounts of the war. If you are interested in American history, this is an in-depth class on a time that shaped our nation.